A series of Facebook comments posted by Morgan Kendall, a third-year student at North Carolina Central University School of Law, came to the attention of students at North Carolina Central University. Within these comments Kendall made racially incendiary remarks in which she referred to a Black Americans as Niggers. Additionally, she made the following comment under a post referencing one ABC News Special Report regarding the pipe bombs sent to the Clintons and Obamas: "Wish I could take credit for this". Kendall has a history of making similar remarks on Facebook. 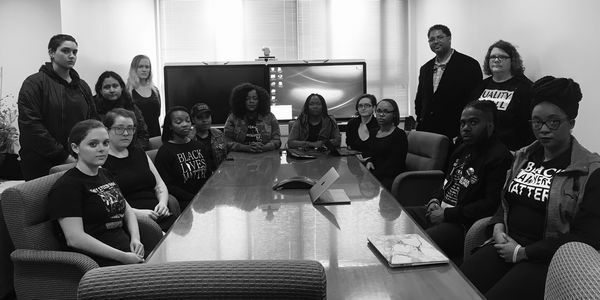 Students at North Carolina Central University School of Law take issue with Kendall's remarks because it shows a disregard for the mission of the university, creates an environment of fear, and reflects poorly on the legal profession. Kendall's comments have caused an overwhelming disruption in the education of students at the law school and within the university at large. Kendall's public comments shows a clear disregard for the mission, charge, and lineage of North Carolina Central University School of Law and North Carolina Central University at large. Moreover, her endorsement of the attempted murder of public officials within the context of recent racially and politically charged acts of domestic terrorism creates public safety concerns. Kendall has made previous threats of physical violence toward another student. Further, Kendall has informed classmates on several occasions of her extensive gun ownership and expertise. 1. The immediate dismissal of Morgan Kendall from North Carolina Central School of Law. 2. Immediate increase in school security. 3. An order from the University banning Morgan Kendall from the University premises. 4. Cultural and historical training during orientation at North Carolina Central University. 5. Implementation of an admissions interview prior to acceptance into any North Carolina Central School of Law Program. 6. A statement from the University and the School of Law denouncing the actions and the endorsement of domestic terrorism by Morgan Kendall. The North Carolina Central University School of Law handbook grants the school jurisdiction over actions that take place outside of school if that action violates the North Carolina Rules of Professional Conduct. We believe Kendall's actions have violated several provisions of the North Carolina Rules of Professional Conduct. Since it's charter in 1909, this institution has been dedicated to service. Further, this law school has been devoted to its charge to empower all of its graduates to become highly competent and socially responsible lawyers and leaders committed to public services and meeting the needs of the underserved community, with the goal of creating a more just society. Kendall's conduct and expressed sentiment toward the students who attend this Historically Black University, public officials, and members of the legal profession show a complete disregard for the lineage and mission of North Carolina Central School of Law, the legal profession, and the safety of her fellow colleagues.